Performance reviews are never fun and they're often more complicated than they should be. Right now our pioneering Reserve Bank is having an awkward time explaining to its 'boss', Finance Minister Bill English, why it is missing its one and only economic performance target of keeping annual inflation in the Consumer Price Index (CPI) around 2% over the medium term. It's been over a year since 'headline' inflation has been below the 1% bottom end of the 1-3% target band and it will be more than six years before inflation gets up to the 2% Governor Graeme Wheeler has agreed to focus on. This performance review is important for all New Zealanders, and not just because millions of borrowers and savers depend on the level of the bank's Official Cash Rate for their levels of disposable income. It is increasingly deciding how wealthy we are because ever lower interest rates are helping to pump up asset values, and house prices in particular. House values rose 22% or NZ$154 billion to NZ$862 billion in the last two years. That's not about wage growth, or even population growth. It's also important because New Zealand was the first to adopt this style of strict inflation targeting in 1990 and it has since been copied or at least emulated in many other parts of the world. But now that inflation is so low, or actually negative in some places, there are lots of doubts about whether inflation targeting works at the 'bottom end' of the inflation spectrum. Central banks have kept cutting interest rates to zero and below in some cases to try to get inflation back up again. But it's beginning to look like a whole of thrashing of dead horses that is only pumping up asset values to over-valued levels. So this performance review is turning into quite a piece of performance art in an economic policy sense. Lots of people are watching to see how it turns out, and the early signs are not good. There has been lots of uncomfortable shifting in seats and long stares out the window over the last couple of weeks during this virtual review because the pressure is mounting. Firstly, new inflation data showed surprisingly little inflation in the economy last year. Then other central banks signalled even looser monetary policy to try to perk up inflation in their countries. The Bank of Japan and the European Central Bank have promised to do 'whatever it takes' to get inflation back up, including cutting their official deposit rates to negative levels and printing more money to buy Government bonds. This means that by not cutting interest rates, our Reserve Bank is effectively allowing a tightening of monetary policy here through our exchange rate. This hit home the hardest last week when dairy prices fell more than 15% but the exchange rate rose 2 USc to over 66 USc. Secondly, Governor Wheeler came out all guns blazing with his side of the story on why he was not meeting the target and why he wouldn't automatically cut the Official Cash Rate in a 'mechanistic' way in response, as he said some had called for. He said he wanted to interpret his performance agreement -- the Policy Targets Agreement -- flexibly so he didn't have to cut interest rates. He blamed the oil price slump and he argued that inflation was actually higher than the 'headline' number currently says it is. He pointed to the bank's own measure of 'core' inflation -- a thing called the sectoral factor model which most other economists can't fathom -- as being at 1.6% and close enough to his target to mean he could sit on his hands. He has also wondered aloud about whether more rate cuts would actually benefit the real economy beyond house prices. Effectively, he invented a new set of lower and wider goal posts and suggested using a round ball instead of an oval ball to kick the points. The trouble is New Zealanders don't experience this new goal post -- core inflation. They see prices falling in the shops for four years and falling in many other areas such as telecommunications. Inflation expectations have fallen from 2.5% to 1% over the last four years. Something has changed in the world that means prices keep falling in all sorts of surprising ways. Uber, for example, cut its prices 15% earlier this month and plenty of new apps keep inventing ways to avoid paying much for services that we once had to go to a shop or an office to buy. Globalisation and massive factory over-capacity in China and Europe also keep driving prices down. For now, the 'boss' is accepting the reasoning given by Governor Wheeler for the lack of both inflation and rate cuts. Minister English said this week he agreed the Governor needed more time and that inflation below 1% was acceptable because businesses and consumers can still get on with their investment and spending decisions without having to worry about inflation. The 'boss' even wondered aloud whether an undershoot was as important as an overshoot. "The whole framework was devised to bring inflation down," English said. "No one ever thought it would be used to lift inflation, and central banks that have tried to lift inflation have found that pretty difficult," he said. A few people have started to talk like this. BNZ's Head of research Stephen Toplis even said last week that inflation targeting may now be a "waste of time." Toplis' comments, which he acknowledged were "sacrilegious", highlight how topsy turvy the world has become and how unsustainable the current stand-off is. Either the Reserve Bank and the Government need to lower the target band to re-establish the credibility of their target agreement or something else needs to give. It may seem academic, but there are real losers in a failure to hit the target. Dairy farmers crying out for the automatic stabilising effect of lower interest rates and a lower currency are crying in vain right now, as are the 259,400 people categorised by Statistics New Zealand as jobless in the December quarter. The economy should be growing faster to employ those people in the classic world of inflation targeting. Inflation targeting as invented by New Zealand was designed to maximise the economic output of the country in a way that didn't create dangerous inflation. There is no inflation so therefore there is room to stimulate more production and output under this model. Many argue, although not most other central bankers, that 'flogging the dead horse' with more rate cuts would just pump up house prices in Auckland more. That may be true, but that's what the bank's LVR speed limits and the Government's tax policies are supposed to address. This week the IMF said the Reserve Bank and the Government should be ready to tighten those LVR restrictions and reduce the tax incentives for property investment. That would be one way for Governor Wheeler and Minister English to complete their performance review with a new set of action points. All that needs to happen is a large cut in the OCR to levels close to those in all major OECD countries. This level of interest rates is killing exporters slowly. Dont worry to much about Auckland house prices as the tide has turned there. 2% mortgage rate for 5 years fixed in the UK. Why are we putting up with banks charging more than double that in NZ - bank margins here now the widest they have been and banks making billions in profit of Kiwi suckers who think 4.29% is a good deal. When will mortgage rates in NZ go sub 3%? If you or I, or any other professional had missed our targets for 4 years, we might be asked to look for a new position. "No, I have not met the company targets because that is such a mechanistic concept". Forget the PTA, we at the RBNZ are here to solve Aucklands over supply of immigrants and foreign house buyers driving up Auckland house prices. Honestly, are we not over this pretending that the RBNZ is anything other than an institution that protects and enhances one thing only? Bank profits from debt growth. What use is an ocr mechanism if the main living cost component that effects our lives the greatest is not made the biggest factor in calculating a 'real' cpi figure? This is the very reason the RB has failed or should i say has deliberately ignored house price inflation significantly. To protect bank asset investment to the detriment of a real productive economy. From the very day our homes became just another profit driven commodity backed by ponzi styled debt creation we were on a road to eventual disaster. Lets think back to the early 80s and the interest rates people were paying then, was the economy sooooo booming to justify such double digit rates? No, so what changed? What fundamental changes did they make to cpi caculations that now got us to where we are now? We have to stop pretending the RBNZ is anything but a corrupt selfserving institution for banks. Central Banks are no more regulators, they are the owners of the economies. So they have to work to protect their investment and return. Other targets are just for public consumption. Just shows how desperate they are to prevent a decline in house prices. There is no inflation so therefore there is room to stimulate more production and output under this model. How? - the model as described by Bernanke is nothing other than trickle down economics. How many years do we have watch this failed policy initiative not working?. It's an entrenched form of madness on display while promoters of such nonsense continue to dance around the issue. 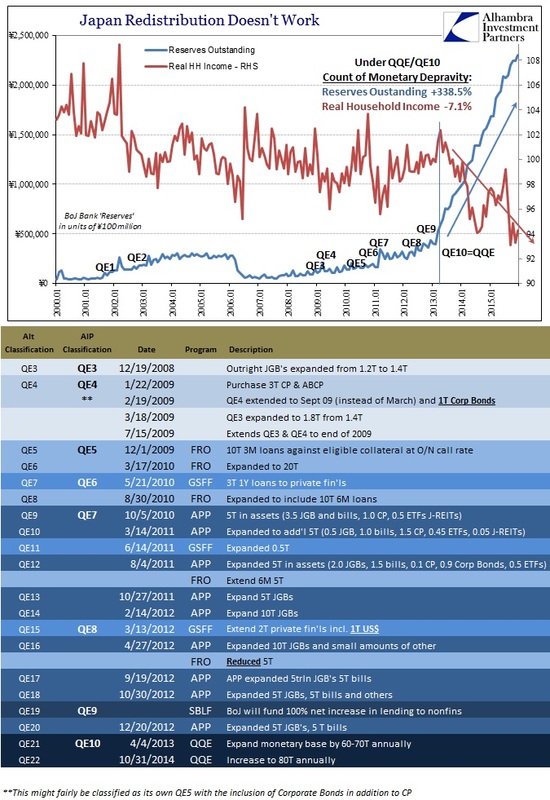 Thus, Federal Reserve purchases of mortgage-backed securities (MBS), for example, should raise the prices and lower the yields of those securities; moreover, as investors rebalance their portfolios by replacing the MBS sold to the Federal Reserve with other assets, the prices of the assets they buy should rise and their yields decline as well. Declining yields and rising asset prices ease overall financial conditions and stimulate economic activity through channels similar to those for conventional monetary policy. And there you have it, incoherent mumbo-jumbo without a wealth transmission conduit blueprint to the general public. In fact targeting lower interest rates underpinned by a narrow redefintion of inflation truly affected an industrial sized transfer of wealth to the asset owning classes from society in general. Witness the upward trend of sovereign bond and residential real estate prices. The later should never have been targeted as an asset class suitable to collateralise excess bank debt production. The outcome is grotesque. There are all sorts of ways forward that are not part of the discussion. Monetary measures like the RBNZ "increasing foreign currency and gold reserves" which is gobbledy gook for printing up a wad of NZD and buying foreign currency or gold with it. Personally I rather favour the RBNZ printing up $10 or $20 billion NZD and buying a few tonnes of gold. Yes, I know it's old fashioned but it is how things used to be done when the currency was too high. CPI inflation is just gobbledgook for the delayed effects of currency changes, to a first approximation. Secondly, low inflation gives Bill the green light for some actual real decent tax cuts, that should put money in people's pockets to use as they think best. Easy as. The timing is good as tax cuts take 12-18 months before they start getting spent, so it would align with his political objectives (ie, getting re-elected, getting re-elected, and getting re-elected, in that order). Bill has rather put the cart before the horse - the time for balanced budgets is when we have full employment and inflation, not before. When will these plonkers confront the issues and act? Oh, I forgot, we have MMP and political paralysis, so decisive action is not allowed. Yes, can anyone remember a 1990s property boom in Brisbane fuelled by Chinese property speculators? Overnight the market crashed and turned belly-up as the Chinese fell over one another to sell up. I can definitely remember it happening but I would be grateful if anyone can supply more detail. goal for all average NZer; in fact it is a NZ BIRTHRIGHT !!! The Key/English policy has been to erode this birthright by creating a new propertied class at the expense of those who in the past would have been able to sooner or later to acquire their own home but now find that they have to look foward to a life-time of renting. This policy is not just neocon.....it is NEO-FEUDALISM !!! Don't you mean a 1990's property boon in Brisbane fuelled by people with Chinese sounding names? "Mortgage rates across the board are falling and buyers with 40pc deposits or higher have seen rates tumble towards 1pc. The current best two-year fixed rate, also from First Direct, charges just 1.15pc with a £1,405 fee. Monthly payments for borrowing £300,000 for 25 years would be just £1,151. Meanwhile, five-year rates have fallen below 2pc. Charlotte Nelson, from financial researcher Moneyfacts, said: "Only a short while ago, 2pc for a five-year loan would have been unthinkable. That's a really low price for what is a significant period of security over what you pay." "
"mortgage rates here are far too high"? No, they are not. Our "domestic" rates are still at record low levels, don't look abroad as your measure that ours are too high. Many of our costs of living are far higher than abroad also (example: electricity pricing even though we are 80% renewable) . Too cheaper money/credit/loans has got us here in the first place. Savers/depositors have been the biggest victims this last decade, not mortgage holders/speculators/property hoarders. A "basic income" model is nothing more than a debt forgiveness model which would be hugely inflationary for all the wrong reasons again. People would just borrow more again to fund even more the housing price bubbles. If an economy is just going to focus on encouraging this road to nowhere then we really have nothing. If we are wanting or looking for a 'reset' button then it has to be one that removes all incentives around property speculation/hoarding and money for doing/producing nothing activities. You're wrong, Basic Income has nothing to do with debt forgiveness. In effect everyone gets a social dividend. Hugely inflationary? Well even if that were to be true isn't that exactly what policy-makers want to see right now? I don't think it would be inflationary if it was managed properly. This type of comment from English just goes to show he is either deluded or totally dis-ingeneous. I guess Bill has no memory of 2001 and the main economic trigger all RB's pulled that set us up for the GFC. Doing what other countries have done - cutting the OCR to virtually nothing - is not sensible. It hasn't worked for them. The more they cut, the more they realise it is having no effect. Why on earth would we follow such failure? Meanwhile, New Zealand booked all-time record exports (2015 = $52.5 bln), has growth above most peers (Sep-15 = +3.5%) and wage growth far above CPI (wages +2.2%, CPI +0.1%). Unemployment is 5.3%, its lowest point in seven years. Even our current account deficit is just -3.3% of GDP and stable. What's not to like about current NZ monetary settings? I agree that the PTA is not working. We need a new one for a whole variety of reasons. But let's not follow other's failing interest rate policies. The evidence is now very strong that low interest rates have no effect, except to cause asset prices to rise exponentially. Those pushing for low rates are just wanting some of this free 'money from the sky' - just self-interest. Whether interest rates are 4% or 1% will inhibit no business decisions. If they do rely on debt to such a level that interest difference is material, then such a commercial project will be very dodgy. some much needed sanity in your comments - we are outperforming virtually all the developed world int he last 7 years - in areas that matter and make a difference - yes we could do better - but the measure of a successful policy is how well we perform against our peers in the same global conditions- not against another timeframe when the world was in economic boomtime. lets tweak things and seek continuous improvement but lets not forget - we are doing a lot better than those who decided to print their way out of trouble ! ZIRP may not be an ideal policy or particularly successful. But can NZ stay as an outlier amongst developed countries? And if ZIRP was not in place, what would many economies have faced? Should the NZ $ be so high given NZ real economy fundamentals and Dairy? The conterfactual is without evidence - so let's stick to the facts. In fact they are down -7.1% after BoJ intervention. DC - NZ cannot have different interest rates to the rest of the world and it is extremely dangerous territory to do this!! The RBNZ's role of Central banker who must work the market and pay dividends to the Government is incongruent with its regulatory role......everyone seems to forget that the world had higher interest rates during the house price boom of 2003 to 2007. The fact is we have had and continue to have very high levels of arrogance among are political parties and bureaucracies that they can fix everything when in fact it is them who started all the problems in the first place......all we ever get is a different bunch of policies which changes the direction for awhile.....Political and bureaucratic jaywalking an economy is like trying to cross a never-ending road........in trying to avoid booms and busts we have private enterprise trying to avoid two moving targets that of the market and those of the State. If NZ does not have the same interest rates as elsewhere there will be little to no business expansion in NZ as we would not be as competitive as out competitors. The PTA is being followed and administered in a typical traditional bureaucratic fashion.......skewing the language to take whatever interpretation you like out of the text is an all too common game played by the bureaucracy!! NZ cannot have different interest rates to the rest of the world and it is extremely dangerous territory to do this!! Can we afford the same? It is also extremely dangerous to have house price levels at historic highs. There is an argument that this makes our produce less competitive as "worker accomodation" is so expensive. Certainly ties up debt that could be otherwise deployed in productive pursuits. The thing is people see that there is no gain in working at making a good. Instead they speculate on asset and currency trading, yes very productive those. a) many of the other parts of the world with 0.25% OCRs frankly look like basket cases eg EU, Japan. b) Even if NZ drops its OCR that does not mean we'll get retail loans substantially cheaper as investors simply wont lend to us at say <1%. I do agree its too high at present however but I am really unsure that if we were at say 2% or 1.5% businesses cost of borrowing would be much cheaper. No the pollies didnt start this mess, unless you class the removal of laws (put in after the Great Depression) at the insistence of the banks and right wingers who have done a damn good job of destroying the wealth of businesses. Sure those figures look good and they are relative to the rest of the world. A few things need to be considered. Our exports won't be performing as well with the severe drop in income for dairy this year. The rest of the world actually looks like it has entered a deflationary spiral. They will have decreasingly less to spend on our exports. That's bad because this is what we are vulnerable to. Deutsche Bank are so highly levered that a 0.1% drop in their financial position would see them on the brink of insolvency. If events occur that cause the bank to fail that would be very serious as they are present in 70 countries. It's the sort of position that you wouldn't want a bank to be in if the world went into a deflationary phase. RBNZ policy has changed to deflation control and the OCR is only being changed to only just keep us out of negative inflation. This is actually a good thing. Printing more money than is needed wouldn't help anyway. It also creates a situation where the wealth of the rest of the world is being transferred to NZ. I know I've benefited from cheap imports (especially when our dollar was high). We do have a problem of allowing banks too much leverage on residential housing under the Basel III regulations. RBNZ is in control of the risk weighting and should adjust it. However, you'd find that any big changes in the risk weighting would explode the residential property bubble. This is the real problem caused by RBNZ. Those risk weightings are why personal loans from banks are 19%+ and the same for business loans. Banks don't loan to businesses or productive economic activities because they make more from residential mortgages. The only low cost way to get a business loan is to own a house and borrow money against that. Which doesn't help if you've recently bought a house and are sitting on 20% or less equity. Quite right. The French and German banking model that caused the explosion in worldwide wholesale lending that washed up on our shores is totally different to ours. It is considered a private arm of the state, in the same way we think of the RBNZ. This is why southern Europe was bankrupted after all - to save the French and German banks. The Basel standards are also written with that end in mind. "The evidence is now very strong that low interest rates have no effect, except to cause asset prices to rise exponentially. Those pushing for low rates are just wanting some of this free 'money from the sky' - just self-interest." Agree, but I would say this has been known a very long time and infact creates added dilemma for the RBNZ as they know banks must continue to sell debt/morgages to stay solvent. It's "self interest" for all those not only with debt but....selling it David. And I hate to tell you this but the Dairy industry might well fit into your last statement> I know many NZ businesses that are so debt ridden that interest rates do factor a great deal. Low rates have stopped a GFC mk II so far and even a Great Depression MkII so I dont agree. Steven, low rates for too long caused the GFC and all they have done with QE is kicked the can down the road. You know this. No I do not "know" any such thing Low rates did not cause the GFC, peak oil, greed, stupidity and a let lose financial market did. Lowering rates is a response to a sickening economy. --edit-- they surely did can kick, yes I'll agree here but that was Govns mis-management. David, you seem to say that interest rates are of no concern for business, then what would you say to the RBNZ lifting the ORC to, say, 10% tomorrow; this would suit me because I would then be receiving a meaningful return on my modest savings. A 10% OCR as you imply would be just as disinhibiting to business decisions as 1% or 4% OCR. Aren't we doing well, GDP increased last year yet GDP per capita fell. This is what happens when you import 70,000 migrants. That's not really correct. Anyone can look up the data on Stats NZ Infoshare service (National Accounts - SNA 2008 - SNE). That gives 'real' GDP per capita. Yes, it fell 2015-Q3 from 2015-Q2 on an Expenditure basis, but it rose in the alternative Production basis. You need to look at full (rolling) years to get a picture where you can draw a meaningful conclusion. Very hard to conclude that "GDP fell". I know there were political press releases flying around saying that. But that was Q2 vs Q3, a very unsafe interpretation. If you also look at 'nominal' GDP-per-capita (in money we use everyday), it is still a record, and still growing for the year to 2015-Q3. But is does show growth slowing. However slowing is not falling. 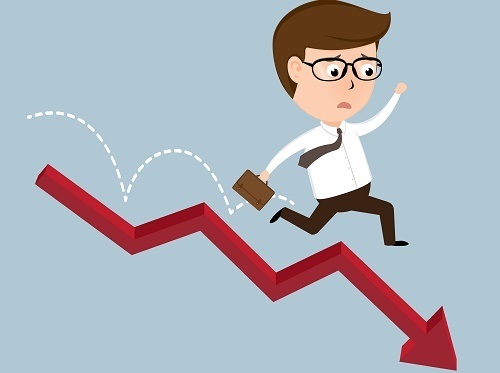 It is worth remembering that GDP assigns positive values to negative activities, poor outcomes, negative financial transactions and disastrous events, so an increase in GDP is not a measure of progress or of improvement. The more divorces, accidents, earthquakes and disasters the higher the GDP; the sicker the population the more spent on pharmaceuticals and healthcare, the higher the GDP. Of course we know there will never be a transition from GDP to GPI because the present system is geared to overconsumption and creating waste (planned obsolescence, unnecessary rebuilds, degradation of soils, degradation of the atmosphere etc.) and transferring all costs onto future generations, and vested interest groups are very much focused on maintaining current dysfunctional short-term arrangements. Therefore resources will continue to be consumed at unsustainable rates, pollution levels will rise and people will get sicker -obesity, diabetes etc.- until the entire system goes kaput. We are fairly close to that point now. It's all very well having low mortgage rates when prices are going up but if prices are going down then it is a millstone around your neck. In the UK the real estate investment trusts have lost 25% of their value over the last 3 months. That is probably a bit of an overreaction but because the Sovereign Wealth Funds have big exposure to the UK however the commercial property sector prices look to have peaked. Central London luxury property is going down as is the general market in HK. Got to laugh at the DM but top end UK property is falling. I think what is common thinking is that lower rates will bring inflation. I think that the evidence around the world indicates that low rates are deflationary (look at Japan). What we are really calling for with lower rates is a bailout for property speculators, farmers and banks. Low rates are the response to dis-inflation, but if you do not act enough as a CB and your Govn practices austerity witchcraft at the same time you get deflation anyway. It''s simple, you can't get inflation when prices are overvalued. The downward pressures are there, real businesses are losing money, banks are feeling the pressure, risk is rising, and needs to be calculated into lending rates, but this would put more downward pressure on prices. The financial system is trapped. 'What we see happening today is why we called our news overview the “Debt Rattle” 8 years ago. The last gasps of a broken system ravished by the very much cancer-like progress of debt. Yes, it took longer than it should have, and than we thought. But that’s pretty much irrelevant, unless you were trying to get rich off of the downfall of your own world. Always a noble goal. Nicole is one of my favourite thinkers actually. "trying to get rich off of the downfall of your own world" more than a few at that game me thinks. Kunstler I think summed up how that will work out for them. Nicole understands the financial side of things very well but seems to be in denial when it comes to sustainability issues and Abrupt Climate Change. Kunstler was on the ball 10-12 years ago but lost the plot when Obama came along and got caught up in 'hope and change'. I think he has retracted support for Obama, but still seems to think revitalising railways and waterways is the way ahead. Oops. Perpetual fossil fuel use and a perpetual industrial economy?.. Not sure where you get denial on sustainability as in fact Id say she is on to it, got an example? Railways and waterways use little fossil fuel per kg per km. No mention of climate change, ocean acidification, Sixth Great Extinction Event etc. Abrupt Climate Change is here and now. Previous link shows the lowest Arctic ice cover ever for this time of the year and melting when freezing should be taking place. We'll know in 7 months just how bad it is. The rate of annual increase of atmospheric CO2 has risen sharply. Currently over 3ppm per annum and nearly 5 times what it was when Keeling began measuring. Rapid, non-linear warming is underway. Actually if you read/listen to more of what she said (youtube) its finance is likely to happen first and quickest and not peak oil and CC. The artic ice is at its lowest due to ElNino causing a blip. Read the latest science, what they are saying is a wee step last and maybe this year and then a plateau again is most expected. --edit-- PS Nicole Foss is now living here in NZ, a wee life boat we are. Yes, there is El Nino, but that does not alter the fact that there is less Arctic ice now (same date) than at any time in history, well below the 2 standard deviation band. Nor does it alter the fact that atmospheric CO2 has never been higher in the history of humanity (403ppm, 175ppm above normal), and rising at an unprecedented rate, recent data indicating in excess of 3ppm per annum. Also, methane, with a forcing factor for time scales that matter in excess of 100 has never been at such a high concentration, around 3 times normal at 2ppm. We will have a much clearer idea by August. Yes, Nicole got out of Canada before the meltdown there. Beat the stampede to perceived safety. we seem to be getting crossed here. Clearly there is record low arctic ice, clearly here we have just seen a record hurricane, https://www.washingtonpost.com/news/energy-environment/wp/2016/02/11/we-... Clearly CO2 is now running above 400ppm. However listening to the climate change scientists I see none of them saying CC has permanently shifted gear to a higher rate of change which you are claiming. I dont disagree on Methane either, what I do want to see is climate change scientists saying what you claim. Now the projections say 4.5Deg C by 2100, https://www.co2.earth/2100-projections if that is correct and its probable then its bye bye agriculture and with it us. Then there is this, http://www.esrl.noaa.gov/gmd/ccgg/trends/gr.html showing co2 historically seems to be stepping rather than rising smoothly. Now if you have the URLs I will go read with interest. We live in a society in which anyone who confronts business-as-usual gets vilified (rather like suggesting the Earth is not at the centre of everything in the 16-17th centuries). Jim Salinger got pushed out of NIWA for publicly suggesting climate change was far faster and far more serious that the official government line indicated. James Hansen (of NASA Goddard Institute) was subjected to gagging orders until he retired. Most mainstream climate scientists have learned the lesson and keep their mouths shut. Emeritus professor Guy McPherson quit his position at Arizona State University when the administration tried to gag him. Although not specifically a climate scientist as such, he has compiled a massive amount of data supporting the contention that Abrupt Climate Change is underway, including numerous referenced articles in scientific journals . And, as you say, 'bye bye agriculture and with it us'. If you are not familiar with the work of Guy McPherson it will probably take you a couple of weeks to catch up because the amount of data and analysis is truly massive. I believe that accelerated increase in warming = Abrupt Climate Change. So here is discussed a 2/10ths step, no comment that this rate of change is now the new normal. Dont "believe anything", work on facts. On the other hand Paul Beckwith at the University of Ottawa is already using the term Abrupt Climate Change. As I wrote previously, we will have a lot clearer idea by August., so we don't have long to wait. That is why Guy McPherson's narrative is so alarming: it is entirely fact-based. He at no point talks about a continued higher rate of change. The abrupt change we see right now is explained by the change the record El Nino has brought, no problems with that. His narrative on the possibility of the gulf stream stopping/changing is well documented and if it does indeed stop the UK and indeed Europe will be in deep deep doodoo, no ifs no buts. I did not move to NZ to beat any kind of stampede, nor did I think Canada was unsafe. I moved here because I was invited, and because I thought I could achieve more in a place which operated at a more human scale. Essentially, NZ has the opportunity to act as a testing ground for new ideas, without a monolithic government (at least not as large and monolithic as in most places) to prevent people being experimental. When push comes to shove, Kiwis will do that which needs to be done whatever their government thinks, and it won't be possible to prevent them. The ideas that prove to work can be exported to other places. Working in the most fertile ground for new ideas seemed to be the best use of my time. NZ is going to have at least as large a crash as Canada though, so no one coming here is escaping financial/economic consequences of the global bubble. Last para though I think some (the very wealthy) coming here or building bolt holes think just that. For myself I wonder why they think NZers (and especially rural) will tolerate /accept them. (a)	what exactly do you mean when talking about this country’s “more human scale”? (b)	what is it that you hope to “achieve more” of? (c)	what are those “new ideas” that you think NZ should be “a testing ground” for? (d)	what exactly is that “large crash” that you think NZ is going to have? NZ's more human scale comes from being an island with only 4.5 (or so) million people. The ratio of people to resources is much better here than in most places. At relatively small scale, even national government is less removed from ordinary people's reality than in most places. Of course inequality has grown very rapidly here too, but a reset will be more do-able than in larger places. The global bubble is bursting, with additional impetus now that China has joined the move to the downside. The scale of the bad debt is gargantuan, and much of it is going to be defaulted on sooner rather than later. This is going to crash over-heated property markets, leaving a swath of negative equity in its wake. This has already happened in many places. NZ was protected in 2008 due to being a commodity exporter at the top of the commodity super-cycle. This time commodity prices are collapsing and no such protection will be forthcoming. In fact low milk prices are already threatening the financial viability of NZ's dairy industry. In my view a Plan B is required, involving much less dependence on globalised markets for both imports and exports. Those most dependent on globalisation suffer most as it moves into retreat, which it is about to do. NZ can manage with its own resource base, unlike many places, so there is considerable potential for mitigating the impact of a crash here. It can't be prevented, here or elsewhere, but it can be managed, to a point. Diversification of land use would be a good start. Humans in general are not very good at being proactive in learning the lessons of history, especially regarding major credit bubbles and their impact. We tend to wait for crisis and then respond, but to do that is to limit the range of possible responses. Anticipating trend changes and acting accordingly is preferable. The Resurgence of Risk (http://canada.theoildrum.com/node/2871), from August 2007 should provide the perspective you are looking for. This is written under the pseudonym I was using at the time - Stoneleigh. There are reams of coverage at The Automatic Earth, which was founded in January 2008. Most of my work can be found in this 2013 primer guide (http://www.theautomaticearth.com/2013/02/the-world-according-to-the-auto...), although the more recent pieces have not yet been incorporated. I could provide them if necessary. We cover and integrate finance, energy, geopolitics, imperialism, environment, nuclear safety (or lack thereof), market psychology, behavioural dynamics, carrying capacity, food security etc etc. The point is to provide the biggest possible big picture. Prior to January 2008, my writing partner and I were publishing on energy and finance at The Oil Drum, where we covered the US housing bubble and associated financial excesses from late 2005 onwards. We were able to give considerable advance notice that the Icelandic banks would fail, and again that Lehman Brothers (specifically) would fail. Today we would make the same call on Deutsche Bank, thanks to its overwhelming derivatives exposure and rising price of CDS cover. I didn't write the piece you quoted. That was by my writing partner, Raul Ilargi Meijer, who writes the majority of the content on The Automatic Earth. I agree with what he wrote here. I write the primers, which can be reached on the menu bar. You mention elsewhere abrupt climate change and say that I am remiss for not including it in my analysis. I regard abrupt climate change (on the timescale generally proposed by adherents of Guy McPherson) to be wildly implausible, which is the major reason why I do not address it. In my opinion, McPherson's work is not science, but an abuse of the scientific process, involving heavily cherry-picked data and twisted/abused/misquoted reference material. I am very much aware of environmental and sustainability issues. That is in fact my background. I write primarily about finance as it is the first issue which one needs to address in order to retain the freedom of action to address energy and environmental issues as these too become acute. Of course I realize that they already are in some place, but in general terms, finance is the first hurdle. People generally fail to appreciate the almost immediate consequences that would flow from a collapse of the credit markets. I focus on that which is both most immediate and least understood. My overall analysis is, however, highly interdisciplinary. That is a truly scandalous claim which is entirely untrue, unless you are also claiming that referenced papers in scientific journals are 'not science'. The links you posted have been thoroughly shredded and discredited via proper analysis. My background is not finance but pure chemistry, including spectroscopy, the nature of matter, and including atmospheric chemistry. Although I studied basic economics at university I did not learn about the fraudulent nature of the financial system until late in life. Nicole appears to be saying that he's cherry picking, like profile taking data points and odd charts out of scientific papers and is using them to waive his own story that when you look at the context is not supported nor by main stream science. Now if you can find decent quotes by say Mann I am all ears, but I have seen nothing along these lines so I am highly skeptical. McPherson makes use of many references which are not at all worthy of the name, and those which do constitute real references are often misquoted or selectively quoted in order to produce an unsupported picture. Data is cherry picked to create a misleading picture. I do suggest you read/listen to the links I provided. They have not been 'shredded by proper analysis' at all. Guy McPherson and proper analysis do not belong in the same sentence. His position is religious/cultic rather than scientific. One cannot have a debate with the man. He immediately defaults to ad hominems and encourages his followers to attack the questioner/dissenter. He also deliberately misrepresents the work of many others in order to discredit them. When he was here in NZ last year, an unfortunate climate scientist set up to debate him at one of his events was ambushed and derided by McPherson's followers. I spoke to him afterwards. His response was, "I was rather disturbed by how things went along Wednesday night, highly unscientific, more like a religious gathering." My own original background is in biology and environmental science, and I find McPherson's work to be a travesty of science. Nicole, Firstly who is Scott K Johnson and what credentials does he have? None. He has no credibility. Just a journalist blogger. When we examine what he has written it is clear that the Fractal Planet analysis is fraudulent and does not stand up to analysis. The same processes were NOT in play when the warmed out of the last glaciation: far from it! Johnson completely ignores the fact that humans have desquestered hundreds of billions of tonnes of carbon and put it into the atmosphere and oceans in the form of CO2, and completely ignores the fact that CO2 averaged 230ppm during that period. Release of CO2 was driven over the 800,000-year period by warming and the warming was driven by [Earth] orbital factors. The CO2 record for the past 800,000 years makes this very clear. We now have 175ppm CO2 above normal, which traps a stupendous amount of additional heat. Not only that but CO2 is rising at an unprecedented rate, currently over 3ppm per annum. Which is not at all surprising when we consider the amount of fossil fuel being burned, cement produced, steel manufactured, widespread deforestation (forests actually burning) and decline in phytoplankton. Additionally, methane is at 3 times the recent historic (preindustrial) norm and arguably 5 times the 800,000-year norm. Now when it comes to methane there is a huge problem because the UNIPCC has failed to assign the appropriate multiplier. Initially UNIPCC assigned CH4 the value 23 times CO2 over 100 years, which they then upgraded to 34 times CO2. Over 20 years the initial value was 72, which was upgraded to 86. Now if we are facing abrupt climate change, the 100-year time frame is totally inappropriate. Indeed, since methane is building up in the atmosphere and not decaying as assumed by UNIPCC, we should be using the instantaneous multiplier, which has a value of the order of 300 times CO2 (as I discussed with Paul Beckwith some time ago), for a portion of the methane. Not that IS cherry-picking and is just plain wrong. Even the outdated UNIPPC figures indicate up to 6.4oC increase in temperature. Indeed, the UNIPCC has acknowledge that the Earth will become uninhabitable without geo-engineering. The only problem there is that there is no geo-engineering process that we can have any confidence in. There certainly is no way to 'pull CO2 out of the atmosphere'. Vague plans to cut down insolation via creating clouds or putting reflecting particles into the atmosphere are just pipe dreams. In 2015 already at about 1.2oc warmer than the ;long-term average, and 2016 is generally expected to be warmer than 2015. UNIPCC has published a range of scenarios for 2100, up to 6.8oC. That may well be an underestimate. Particularly since every UNIPCC assessment has been way behind the real game, resulting in a constant 'faster than expected' narrative. The assertions of many well-known supposed climate scientists are simply completely wrong, i.e. Michael Mann. The key to all of this is CHEMISTRY, which sadly is understood by fewer than one person in 10,000. As David Wasdell has pointed out, there are numerous positive feedbacks which are self-reinforcing and mutually reinforcing, and almost no negative feedbacks (other than radiation of heat into space, which is not really a negative feedback in the true chemical-physical sense of the term. There are huge vested interests -financial, political and psychological- in denying Abrupt Climate Change, which is why nothing will be done to prevent it and it will become a certainty if it is not already. As mentioned previously, we have a lot better idea by August. In the meantime, the catastrophic meltdown of the Arctic continues. Another day of melting when ice should be forming. This thread commenced with my comment that 'Nicole Foss understands finance very well but is in denial of Abrupt Climate Change'. "Meanwhile in the Antarctic, this year’s extent was lower than average for January, in contrast to the record high extents in January 2015." Record high extents in January 2015? How can that be - has the CO2 not reached there yet? Check out that death spiral same old same old since 2008. And boy things are not looking grim on the global sea ice front. Run for the hills! Anyone with basic knowledge and a tiny smattering of understanding of physics recognises that conditions in Antarctica are not in any way comparable to the Arctic Sea because there is a land mass called Antarctica at the South Pole. Snow accumulating on frozen land behaves very differently from snow landing on water or on ice floating on water. Antarctic is characterised by glaciers which move towards the sea, where they spread over the water. Back to the topic of discussion, the rapid meltdown occurring in the Arctic region, we see that the latest data point (13th February) is substantially lower than the previous one. 11,000 km2 ice lost in one day. Conditions may change and ice formation may occur for a few weeks prior to the normal seasonal melt. Or the premature meltdown may continue. Irrespective of what happens over the next few weeks, we know what will happen longer term: less ice everywhere, massive sea level rises, and greater climate chaos. Oh are we not a allowed to talk about Antarctica? But the the quote was from the third sentence of your link. Note all of my links refer to sea ice extent so nice snow strawman. Yes a smattering of physics under my belt so you can tick that box. Freeman Dyson has a smattering of physics too doesn't he? "Are climate models getting better? You wrote how they have the most awful fudges, and they only really impress people who don't know about them. I would say the opposite. What has happened in the past 10 years is that the discrepancies between what's observed and what's predicted have become much stronger. It's clear now the models are wrong, but it wasn't so clear 10 years ago. I can't say if they'll always be wrong, but the observations are improving and so the models are becoming more verifiable." Ah how refreshing - people who admit they don't know everything: "Zwally’s team calculated that the mass gain from the thickening of East Antarctica remained steady from 1992 to 2008 at 200 billion tons per year, while the ice losses from the coastal regions of West Antarctica and the Antarctic Peninsula increased by 65 billion tons per year. Personally I have no problem understanding chemistry, geology, physics etc. I doubt Scott Johnson does either. Calling someone a Denier is a fundamentally religious position, and antithetical to a scientific perspective. It implies willful ignorance of an established Truth. Abrupt climate change is anything but Truth. It is a theory, and unfortunately a theory with foundations which most in the field find do not stand up to scrutiny. McPherson would have people believe that all other climate scientists are lying and that only he can be believed. This is cultic behaviour. McPherson bills himself as a scientist simply passing along the science (even as he dismisses climate scientists and their work), but he cites nearly as many blog posts and newspaper columns as published studies. When he does cite a study, it’s often clear that he hasn’t taken the time to actually read it, depending instead on a news story about it. He frequently gets the information from the study completely wrong, which is a difficult thing for most readers to check given that most papers are behind paywalls (not to mention that scientific papers aren’t easy to understand)." I am in complete agreement with this assessment, which has been very much my experience with McPherson in my many online encounters with him and his band of followers. To quote the genuine climate scientist who debated McPherson on his tour, and was so disturbed by the religious fervour he experienced: "I was rather disturbed by how things went along Wednesday night, highly unscientific, more like a religious gathering. I completely agree with what you are saying of course. Yes the interview is great, I also read the corresponding page, which is very well researched." His description 'very well researched' is with regard to Scott Johnson's lengthy piece. Cults of Doom such as McPherson's have no place in genuine scientific enquiry, and are fundamentally destructive. Dressing up religious messages in scientific language does not make those messages scientific. It only makes them appear that way superficially, which is of course the point. I see you have completely failed to respond to the scientific points I raised, and continue to repeat nonsense based on your own biases. 'I stopped dealing with Nicole Foss long ago. She’s attached to her long-held belief, and refuses to let go. Her personal attacks on me continue, of course, independent of evidence. Nobody has more invested in the complete collapse of industrial civilization than I do, but I gave up on that phenomenon being helpful to ours and other species long ago. Foss clings to it, failing to acknowledge we’re in the midst of abrupt climate change. Note that even the IEA forecasts up to 6 C by 2050, excluding methane and other greenhouse gases beyond carbon dioxide. And if we want to pick nits, let’s start with her 2009 prediction that we’d see Dow 1000 in 2010. She’s adhered to the “rapid deflation” scenario seemingly forever. If you’re depending upon her predictions, you’re bound to lose a lot of money. I totally agree with his assessment. LOL, he used to 'pick nits' about my prediction that oil prices would plummet. My long term prediction for the bottom of this move, made in 2011 at the point where I called the top in the commodity complex, was $20/barrel. That looks quite accurate at this point, so naturally he doesn't mention it anymore. I did not say the market would hit the target he mentioned at that point, I merely said it looked likely. McPherson likes to distort the work of other people, generally without even reading the original. He is extremely intellectually lazy and unprofessional. IMO the market will go that low, and considerably lower, closer to the bottom of this drawn out bear market, but it will take additional time. From Michael Tobias (doctorate from the University of Wisconsin - Madison in Atmospheric and Oceanic Sciences): "A former professor of ecology, Guy McPherson has attained some fame and respect among back-to-the-land “permaculture” types. I have no idea what he may or may not know about ecology, but he doesn’t know much about climate. This hasn’t prevented him from using his professorial credentials in the “permie” subculture, and what he tells the permies is that we are absolutely, irrevocably doomed. A good start on taking down Guy McPherson appeared recently by Scott Johnson at Fractal Planet." I have stated on these pages that I believe, as you do, that a financial event will precede rapid decline from resource depletion, I can't agree with you that there is any scope to change the path of finance. I use the term path quite deliberately. It is not a hurdle, but simply a process to be endured. If you haven't yet seen it, crunch the numbers on this: (M.V)+i=P.Q. The process is locked in, enjoy the ride and do something truly productive. I don't suggest there's any chance at all to change the path in finance, only to adapt and prepare in order to be able to mitigate the personal and community impact. A large scale financial implosion is coming whether we like it or not. NZ would have nowhere near the time to change course in advance, even if it wished to do so. Only individuals and small groups or communities can act in advance to increase resilience. I use the word hurdle to suggest achieving sufficient shock-proofing to negotiate a crisis and come out the other end with some remaining purchasing power, and therefore freedom of action. At the societal level, path is definitely a more appropriate term. Countries must figure out a way forward in the teeth of crisis, as a reaction to it. At least it should be possible for NZ to be internally self-sufficient at some point down the line, albeit at a much lower standard of living. People have weathered economic depressions before, and will do so again, but it'll come as a shock to our soft society. People in the 1930s were tougher and more skilled, with far lower expectations. I was one who criticised Graham Wheeler on his appointment based purely on the fact that he came from the UK Treasury or reserve bank. I have to take it back as I think that, faced with a very difficult situation, he has acted in more creative ways than any of his predecessors. As I have said before he has a limited number of levers that he can pull and has done well with the tools at hand. The causes of the problems that he and all of us are facing can be squarely blamed on the government. Fact correction: Graeme Wheeler never worked for the UK Treasury or the British central bank. He worked for and at the World Bank and was based in Washington DC before his appointment as RBNZ Governor. His biography is here. You guys are amazing. You just managed to travel back in time! !